Free "I Love To Go Boating!" 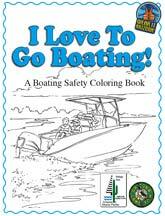 Coloring Book: Kids will have a blast coloring in these fun pictures that highlight important boating safety concepts! 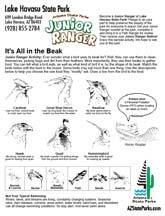 Written by Mia LaBarbara, Arizona State Parks Interpretive Education Planner, with illustrations by Jennifer Wood. Produced in cooperation wih Arizona Game & Fish. Download and print your copy today! 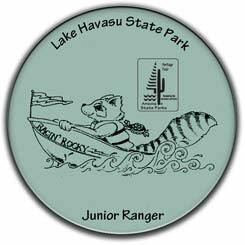 If you're between ages 6–12, you can become a Junior Ranger at Lake Havasu State Park! Pledge to do your part to help preserve the beauty of the park for everyone to enjoy! It's All in the Beak: Ever wonder what a bird uses its beak for? Well, they can use them to clean themselves; picking bugs and dirt from their feathers. More importantly, they use their beaks to gather food. You can tell what a bird eats, as well as what kind of bird it is, by the shape of its beak. Match the birds below with the food in the boxes. Some birds may eat more than one thing. Use the descriptions below to help you choose the one food they “mostly” eat. Draw a line from the bird to the food. Lake Havasu is full of fishing opportunities for the whole family! Numerous species of bass, catfish, crappie, and other panfish are always on hand to provide life lessons and lifetime memories.